49 155 runners at the start of the Schneider Electric Marathon de Paris 2019! Paul Lonyangata will have to wait to become the first three-time winner of the Schneider Electric Marathon de Paris. 49,155 runners started the 43rd edition, with the Kenyan winner of the previous two editions capitulating to Abrha Milaw at the end of the race. Gelete Burka made it a double for Ethiopia, crossing the finish line ahead of the men (who had started 16′39″ later) to take victory in the women's race. French runners also shone today, with Clémence Calvin (fourth) rising to high expectations to smash Christelle Daunay's national record (2 h 24′22″) and Morhad Amdouni breaking the 2 h 10 barrier in his marathon debut. Paul Lonyangata's reign in the Schneider Electric Marathon de Paris is over. The Kenyan runner, undefeated since 2017, was unable to stop Ethiopian Abrha Milaw from taking the crown. Victory was only decided at the end of a controlled and suspenseful race. There were still six runners in contention with less than 6 km to go, including top favourites Paul Lonyangata and Ethiopian Asefa Mengistu. However, it was another Ethiopian, 30-year-old Abrha Milaw, who blew up the leading group almost without breaking a sweat. The winner of the last Marathon des Alpes Maritimes made his move at km 39 km, as the race went past the Fondation Louis Vuitton. Neither Lonyangata, who was running with a right forearm splint, nor Mengistu was able to respond to his vicious attack. Milaw crossed the finish line with a time of 2 h 07′05″, 20 seconds ahead of runner-up Abraha Mengistu and 24 seconds ahead of the winner of the two previous editions, Paul Lonyangata. The ladies managed to beat the elite men to the line after starting with a margin of 16′39″. The women's race went down to the wire. The win was still up in the air 30 km into the race, with three Ethiopians, Gelete Burka, Azmera Abreha and Azmera Gebru, and Kenyan Sally Chepyego locked in a fierce battle. Geleta Burka upped the pace with just one kilometre to go to drop her rivals. Only Gebru managed to follow at the beginning, only to crack and watch from behind as the winner of the 2018 Ottawa Marathon surged to her first victory in Paris with a time of 2 h 22′47″. The 10,000 m silver medallist in the 2015 World Championships beat Azmera Gebru by 5 seconds. Azmera Abreha took the bottom step of the podium, 48 seconds back. All eyes were on her today. Clad entirely in black and hiding behind her shades, Clémence Calvin made an impressive display of fortitude to surge near the end and claim fourth place with a time of 2 h 23′41″. It was a stellar performance that smashed the French record held until now by Christelle Daunay (2 h 24′22″) and qualified Calvin for the 2020 Tokyo Olympics. Morhad Amdouni was also on a good day. Running in his first marathon, the European 10,000 m champion defied the odds to finish eighth with a time of 2 h 09′14″, also good enough for a ticket to the Olympics. Nicolas Navarro (2 h 11′53″), Florian Carvalho (2 h 12′53″) and Benjamin Malaty (2 h 13′25″) capped the French performance by taking places 10 through 12. Frenchman Julien Casoli took his third win in the disabled race. The bronze medallist in the 5,000 metres in the London Paralympics finished the marathon in a time of 1 h 36′54″, easily taking a third victory to go along the ones he claimed in 2012 and 2015. "I'm delighted to add my name to the list of winners of the Schneider Electric Marathon de Paris. I suffered in the bitter cold this morning, but I managed to focus on my goal and on getting this victory I wanted so badly." "It was a complicated race with a strong field. I was able to stick to my plan. I stayed with the favourites and then went for it with every ounce of energy I had left." "I held on until the end. Paris gave us the welcome I expected. I want to thank Paris, France, the Federation and everyone who's supported me. The boiling lava of Auvergne runs through my veins." See you on 5 April 2020 for the 44th edition of the Schneider Electric Marathon de Paris. 2020 edition: registrations are open! Registration for the 44th edition of the Schneider Electric Marathon de Paris are open! See you the 5th of April 2020! And on time to for registrations! D-1: Everything you need to know about the start! Tomorrow it’s the big day! The 43rd edition of the Schneider Electric Paris Marathon will set off at 8.06am on the Avenue des Champs-Elysées! Left-luggage service: This free service can be found on Avenue Foch (near the finish line) and opens at 7 am. It is just 500 metres from the starting area on Avenue des Champs-Élysées. 1500 children between 5 to 10 years old came together today for this fun and sporting occasion on the Champ de Mars. On the schedule of this Pitch Marathoon's: a village with many activities (make-up, a brass band, a clown, etc.) and three races, a 1.2k race for 5 to 6 years old, a 1.6k race for 6 to 7 years old and a 2k race for 8 to 10 years old. At the finish of the Pitch Marathoon’s, the young champions from ten or so nations - from New Zealand to the United States - were awarded real finishers medals. And since running whets the appetite, an enjoyable snack was served to everyone present. In particular it provided an opportunity to enjoy a family and friendly moment around the values of sport! 4,500 runners at the Paris Breakfast Run! Running while Paris is still asleep! This morning 4,500 runners took advantage of a rare privilege for this new edition of the Paris Breakfast Run. A five-kilometre run in the heart of the prestigious monuments and places which epitomise Paris’s history — the Carrousel du Louvre, the Musée d’Orsay, the Pont Alexandre III, and a magnificent finish on the Champ de Mars, at the foot of the Eiffel Tower. And the Parisian-style breakfast, served at the finish facing the Eiffel Tower, gave the French, American, British, Australian, Brazilian and Mexican marathon runners an opportunity to exchange views. 80 nations were represented in total. Tomorrow it’s the big day: the Schneider Electric Marathon de Paris will be setting off at 8.06am (handisport) and 8.09 (Elite women) on the Avenue des Champs-Elysées! Along the course, or warm at home, your dearests will be able to follow your steps thanks to the live tracker created for this edition. To do so, two simple options; either through the internet or the official application. Further option, follow this link and in a few simple clicks, install the live tracker through internet. Warning: no race numbers will be handed out on race day (Sunday morning)! your medical certificate (or French Athletics Federation licence) in paper format only if it has not been uploaded (up to and including Monday 8 April) and validated on your time to account. If you purchased any extras when you signed up, you can pick them up from the "Retrieval of extras" (Retrait des options) stand next to the race number retrieval in the Salon du Running. DISCOVER ALL THE ACTIVITIES OF THE MARATHON! Running a marathon is a big deal. But running a marathon in a fantastic atmosphere is even better! Discover all the activities put in place for the Schneider Electric Marathon de Paris to celebrate its runners as well as its supporters! To allow your friends and family to follow you, really or virtually, during the Schneider Electric Marathon de Paris course on 14 April, it’s essential that you accept the “Live Coverage” before Friday 12 April at midday. Access the form by clicking here and tick the “Yes” box. If you don’t, you won’t appear on the “Live Coverage”, which would be a shame for your supporters! In the run up to Schneider Electric Marathon de Paris 2019, take part in the weekly challenges while training! Stand to win GPS connected watches, personalized coaching sessions, and a place for Chicago Marathon 2020 ! Sign up and join the Schneider Electric Green Runners community here. Post a picture on Instagram on public mode or on our Facebook group #SEgreenrunners. Don’t forget to tag #SEgreenrunners to validate your participation! Win your bib for the Chicago 2020 Marathon! Join the Schneider Electric Green Runners community and the race towards a more sustainable future with more livable cities. Get acquainted to these new habits to reduce your carbon footprint so as to everyone can become a climate ambassador! For at least 2 challenges taken up, stand the chance to win a place at the 2020 Chicago Marathon, flight included. The carbon footprint of the travel will be compensated by Schneider Electric. Besides contributing to get our Marathon to be the World largest carbon neutral marathon, Schneider Electric commits for every 65 kg of CO2 spared by the challenges, to make a donation to NGO partners fighting against climate change. Discover the new route for the 43rd edition of the Schneider Electric Marathon de Paris! This year, you will be able to admire new emblematic sites throughout the race, for example Place Vendôme and Opera Garnier. A good reason to look up from your feet and admire the monuments and landscapes of the world’s most beautiful city. FLASH SALE VALENTINE’S DAY – From Monday 4 to Monday 18 February (inclusive), take advantage of a discount on the purchase of two race entries for the 2019 Paris Breakfast Run on April 13th. What better way to convince your honey, best friend, brother, sister or work colleague to join you on the start line? Celebrate your feat of finishing the 2019 Schneider Electric Marathon de Paris by reserving your dinner cruise on the Seine! On sunday night, the 14th April 2019 : You will board a Bateau-Mouche specially reserved for the runners and their companions. You will set off from the Pont de l’Alma bridge around 20h30 for a 2 hour and 15-minute cruise in the heart of Paris and rediscover all the landmarks of the most beautiful city in the world (this time on the water! ): the Eiffel Tower, Musée d’Orsay, Notre Dame Cathedral, the Hôtel de Ville, the Louvre, Place de la Concorde, Grand Palais, etc. Beverages: 1 bottle of wine for 2 people, 1 75cl bottle of Evian water for 2 people or 1 soft drink (33cl) for 1 person. Alcohol abuse is a health danger and should be consumed with moderation. How to book this dinner cruise? Important : Menu selections are final. Number of seats are limited. There will be free parking for customers during the cruise. The registrations for the 43rd Schneider Electric Marathon de Paris are closed. Missed the chance to secure your place on the start line? Barcelona (March, 10th) : enjoys mild weather and an urban circuit that is among the most attractive in Europe. Marseille (March, 24th): from MUCEM to the Old Port via the Corniche Kennedy, (re)discovers the Phocean city by running. Manchester (April, 7th) : known like a fast course and with a good atmosphere, come and participate in one of the biggest marathons in the United Kingdom. Mont Saint-Michel (May, 26th) : experience the marathon in an exceptional setting, with a unique arrival at the foot of this jewel of French heritage. The registrations will be closed on sunday 27th of january at 11.59pm for the 43rd edition! Want to share a sporting, festive, friendly & international moment during the weekend of the prestigious Schneider Electric Marathon in Paris? The Paris Breakfast Run is for you! See you on Saturday, April 13, 2019 at 9am! This route, on roads closed to traffic which will not be timed, will allow you to (re-) discover the monuments and prestigious sites that have made and are still making history in Paris: the Carrousel du Louvre, the Musée d’Orsay, the Pont Alexandre III, followed by an amazing finish on the Champ de Mars beneath the Eiffel Tower! The Paris Breakfast Run is the meeting which should not be missed before the big Marathon, the last warm up before hitting the challenge for the champions! If you have already purchased your bib when you registered for the Schneider Electric Marathon de Paris 2019, a registration link will be sent to you by email to confirm your registration. These two little 1km and 2km races are reserved for kids and will take place at the Champ de Mars the day before the Schneider Electric Marathon de Paris, and run beneath the Eiffel tower just like the grown ups! FLASH SALE – From Friday 14 December to Monday 31 December (inclusive), take advantage of a discount on the purchase of two race entries for the 2019 Schneider Electric Marathon de Paris. What better way to convince your best friend, brother, sister or work colleague to join you on the start line? N.B. : At the start of January, you will receive an email with the registration link to send to the recipient of the second race entry. FLASH SALE – From Tuesday 20 November to Friday 30 November (inclusive), take advantage of a discount on the purchase of two race entries for the 2019 Schneider Electric Marathon de Paris. What better way to convince your best friend, brother, sister or work colleague to join you on the start line? In 2018, 97% of the connected runners became Schneider Electric Marathon de Paris finishers! So here is the 2019 app, dedicated to the marathon runners and their fans. The registrations are now open on time to. What format should you choose? For more information about your registration, click here. You have already got an A.S.O. Challenges account? Before your registration, you have to reset your password on the new registration platform time to. You haven't already go and A.S.O. Challenges account? Register on the new registration platform time to. Already 15,000 runners have an appointment with the 2019 Schneider Electric Marathon de Paris. Registrations are now closed until september 4th. But you can still register if you run for charity, or buy your entry with a Tour Operator. Already 15,000 runners have an appointment with the 2019 Schneider Electric Marathon de Paris. Registrations are now closed until september 4th at 12pm. The registrations for the 43rd edition of the Schneider Electric Marathon de Paris are open on the new platform, time to. 1st phase of registrations “Starting Block” will close on April 30th but the number of places is limited. See you on April 14th, 2019! When you have the right mindset, your legs will follow! HOW TO OBTAIN A RACE NUMBER? As soon as you register for the Schneider Electric Marathon de Paris or at any time during your preparation, you can add options to your race number in your personal area on www.timeto.com. Your race on the Schneider Electric Marathon de Paris 2018 has been recorded by High Definition quality cameras along the track. The cameras were located at the 10th km, 15th km, 20th km and of course at the finish line! If you are willing to get a memory of your race forever in HD for only 9.99 euros, click on the download video button within the video player! You will also have the opportunity to share your video via Facebook and Twitter. Our team of professional photographers took individual photos of you on the route while you were focusing on your performance. So you’ll have a souvenir which you can frame and display! 43,537 runners took part in the 42nd edition of the Marathon de Paris on Sunday 8th April. This colourful community was made up of 26% women, 32% foreign runners (from 115 nations) and 36% of newcomers to the distance, which wound through the world’ most beautiful city in spring-like weather conditions. The title holder, Kenyan Paul Lonyangata, claimed a double in front of his countrymen Mathew Kisorio and Ernest Ngeno. In the women’s race, Kenya’s Betsy Saina sprang a surprise to win ahead of her countrywoman Ruth Chepngetich and Ethiopian Gulume Chala. Last year, Paul and Purity wrote one of the nicest love stories in the history of sport, by both winning in their respective categories of the Schneider Electric Marathon de Paris. Although his wife was unable to race this year due to illness, it did not stop Paul Lonyangata from claiming victory once again. Paul Lonyangata was first to cross the finishing line with a time of 2:06’25’’, 11 seconds ahead of Kisorio and 16 in front of Ngeno, his two countrymen. Few competitors in the history of the Paris Marathon have crossed the finishing line twice as winners:Jacky Boxberger (in 1983 and 1985), Ahmed Salah (in 1984 and 1986) and the British runner Steve Brace, the only competitor to have won twice consecutively until today. It has to be said that the battle between the six women who were still together after 33 km was a tough one. Betsy Saina win with a time of 2:22’56’’, 3 seconds in front of Kenyan Ruth Chepngetich and 12 ahead of Ethiopian Gulume Chala. The surprise was that Betsy Saina, 5th in the 10,000 m at the Rio 2016 Olympic Games and winner of a half-marathon with a time of 69’17’’, had never before completed a marathon. Jean-Damascène Habarurena finished 17th on the Schneider Electric Marathon de Paris as the first French runner. In the reckoning for qualification for the European Championships, Habarurena did not manage to beat the time he was aiming for with a time of 2:15’13’’, one second ahead, Nicolas Navarro. The para-sports race witnessed the Japanese competitor Hiroki Nishida claimed the first international victory of his career with a time of 1:30’02’’, in front of multiple Olympic Champion David Weir (1:30’52'') and Spaniard Jorge Madera Jimenez (1:30’53’’). There was a wonderful surprise for the finishers after more than 6 hours of running with heavy legs: they were welcomed and congratulated by the winners of the race, Betsy Saina and Paul Lonyangata, a genuine symbol of fraternity! WE LOOK FORWARD TO HAVE A DRINK TOGETHER TO CELEBRATE THIS VICTORY FITTINGLY! For rugby lovers’ post-match celebrations, see you from 6pm! The whole event organising team looks forward to seeing you in the capital’s most emblematic bars - Rue Princesse. The place to be for all those who want to celebrate the success of the 42th edition of the Schneider Electric Marathon de Paris in style, from 6pm onwards. Don’t forget your medal which will ensure you enjoy a preferential rate! More than seven hundred 5 to 10 years old children came together this morning for this fun and sporting occasion on the Champ de Mars. On the schedule of this Pitch Marathoon's: a village with many activities (make-up, a brass band, a clown, etc.) and two races, a 1.2k race for 5 to 7 years old and a 2.2k race for 8 to 10 years old. At the finish of the Pitch Marathoon’s, the young champions from ten or so nations - from New Zealand to the United States - were awarded real finishers medals. And since running whets the appetite, an enjoyable breakfast was served to everyone present. This morning 3,000 runners took advantage of a rare privilege for this new edition of the Paris Breakfast Run. A five-kilometre run in the heart of the prestigious monuments and places which epitomise Paris’s history — the Carrousel du Louvre, the Musée d’Orsay, the Pont Alexandre III, and a magnificent finish on the Champ de Mars, at the foot of the Eiffel Tower. And the Parisian-style breakfast, served at the finish facing the Eiffel Tower, gave the French, American, British, Australian, Brazilian and Mexican marathon runners an opportunity to exchange views. 70 nations were represented in total. Tomorrow it’s the big day! The 42th edition of the Schneider Electric Paris Marathon will set off at 8.20am on the Avenue des Champs-Elysées! If you haven't picked up your race number yet, we remind you that the Salon du Running (Parc des Expositions Porte de Versailles : subway Line 12, Porte de Versailles stop) closes its doors today at 7pm. Don’t forget to bring your essential documents with you: a proof of identity, your notification letter as well as a medical certificate. Drink throughout the day and eat early (12 hours before you set off) focusing on slow-burning carbohydrates. Make sure your equipment is adapted to the race. N.B. : don’t run with new shoes. Plan to arrive on the Champs-Elysées tomorrow at least 45 minutes before your start. It’s better to take the subway than any other means of transport (line 1, George V or Charles-de-Gaulle stops). Go over your race plan in your head without forgetting the most important thing: the pleasure of running. The weather forecast is good and the temperature will be quite warm for the season. Don’t forget to wear spring clothing (shorts and a short-sleeved shirt) and drink at each feeding station. Tomorrow, Paris will be yours. And there will be 55,000 of you who will enjoy a historical sporting and unifying experience as you give it your all. Be proud of the journey you are about to undertake. The Schneider Electric Marathon de Paris boasts an exceptional route in the heart of the most beautiful city in the world. This means that everyone involved has to act responsibly: the organiser, the partners, the runners, the spectators, etc. A maximum of resources will be at your disposal to do your bit, allowing you to recycle bottles, clothing and food waste. Join us to make this an environmentally responsible marathon. Collecting your race number at the Salon du Running, your final run, last plate of pasta, selfie at the start, finisher’s photo: share and discover the different moments your marathon live on Twitter and Vine, use the official hashtags #ParisMarathon and #LifeisOn. The online registrations for the Paris Breakfast Run are now closed! We look forward to seeing you in great shape at the start at 9am on Rue de l’Amiral Coligny (LOUVRE RIVOLI subway). 3 essential documents to pick up your race number! Have you remembered everything you need to collect your race number? Don’t forget to bring all the essential documents which are required by our teams, when you come to collect your race number, to avoid being refused access to the race! WHAT DO I NEED TO BRING TO COLLECT MY RACE NUMBER? Your race notification document, available on your A.S.O Challenges account. It must be printed out. Your medical certificate must include one of the three following mentions “course à pied en compétition” (competitive running); “athlétisme en compétition” (competitive athletics) or “triathlon en compétition” (competitive triathlons). / ! \ We suggest that you ask your doctor to fill in this model, to ensure that you bring a valid medical certificate with you. If your certificate does not feature one of the three mentions indicated above, we won’t be able to give you your race number in accordance with the race rules. No exceptions will be made. A proof of identity (identity card, passport or driving licence). / ! \ If you have a 2018 licence, issued by the Fédération Française d’Athlétisme (French Athletics Federation) or the Fédération Française de Triathlon (French Triathlon Federation), please present it when you collect your race number: in this case you won’t be required to present your medical certificate. / ! \ If you have a Corporate Package, you may be able to benefit from specific conditions to collect your race number. Please contact the person in charge of your booking. WHERE, WHEN AND HOW DO I PICK UP MY RACE NUMBER? The collection of race numbers will take place at the Salon Du Running, Hall 1, located at the Porte de Versailles (75015 Paris). Tram: line T2 or T3 – tram stop "Porte de Versailles"
Don’t forget to go there in person, during the times indicated, as we won’t hand over any race numbers on the day of the race. We advise you to go there as early as possible to avoid waiting! Here you go: there are just 10 more days to go before the start! Do you still have a lot of questions? Where can you find us on the big day? At what time? And where can you cross the dozens of supporters who have come to cheer you on? Don’t worry, we have gathered all the essential information together in the Marathon Runners Guide. It contains the opening times of the Salon du Running, tips to get to the site and everything you need to know about the routes so that you can serenely set off in the race. Registrations for the Schneider Electric Marathon de Paris are closed, let's run together on April 8 ! The day before the Schneider Electric Marathon de Paris, come enjoy our running animations with family or friends! The PARIS BREAKFAST RUN: Come shake out your legs on Saturday April 7 at 9AM in an non-timed run of 5km followed by a friendly breakfast at the foot of the Eiffel Tower! At the same time, take off your Paris Breakfast Run t-shirt and your child's bib at the Salon du Running. The friendly and fun Paris Breakfast Run is back again this year with a completely new route! Come and shake out your legs one last time before the Marathon, on Saturday 7th April 2018. This flat route, on roads closed to traffic which will not be timed, will allow you to (re-) discover the monuments and prestigious sites that have made and are still making history in Paris: the Carrousel du Louvre, the Musée d’Orsay, the Pont Alexandre III, followed by an amazing finish on the Champ de Mars beneath the Eiffel Tower! Only 500 bibs left for the 2018 Schneider Electric Marathon de Paris ! If you are ready to run on april 8, it's time to join us ! More information about the registration HERE. In 2017, 97 % of the connected runners became Schneider Electric Marathon de Paris finishers! So here is the 2018 app, dedicated to the marathon runners and their fans. CHRISTHMAS OFFER - from Thursday 14th to Thursday 28th December inclusive, take advantage of a discount on the purchase of 2 race numbers for the Schneider Electric Marathon de Paris. This should encourage your best friend, your brother, your sister or even your colleague to set off with you! Only the purchaser’s personal information is required when the 2 race numbers are bought. You will receive two advantage codes for the race selected by email on January. Each of the beneficiaries must fill in his code directly on the race registration form on asochallenges.com. We have the situation in hand to help you prepare the most beautiful marathon in the world: click here to discover the training plan which corresponds to your objective! I WANT TO BENEFIT FROM THE OFFER! 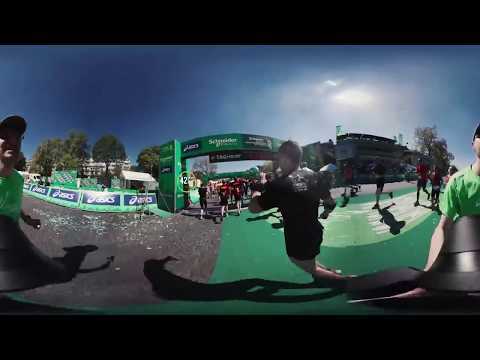 Relive the 42,195 km of the Schneider Electric Marathon de Paris in a 360-degree video thanks to Schneider Electric. Join us on 8th April to experience the adventure through your own eyes and in your own shoes! 2018 EDITION: REGISTRATIONS ARE NOW OPEN! PARIS IS WAITING FOR YOU! Have you ever run in the most beautiful city of the world? There will always be a bib for you to run the Schneider Electric Marathon de Paris. More than the city, the race is a lifetime experience. On april 8 2018, be part of the 17,000 runners that come each year from all over the world. Registration will open officially on the September, 5th at 8:00AM on ASO Challenges platform. Attention: number of places is limited! The Schneider Electric Marathon de Paris continues to smash its own records year after year. 43,754 runners started the race this morning in a summer-like atmosphere which promised lots of sore muscles in the final few hundred metres on the cobblestones of Avenue Foch, soon left scorching hot by the runners… as well as quite a few sunburns for the approximately 250,000 spectators lining the streets of the most beautiful city in the world. Everything fell into place for the Kenyan couple of Paul Lonyangata and Purity Rionoripo to write a rousing love story in the most beautiful marathon in the world, winning both of today's races! It was yet more proof —not that any was needed— that Paris is the city of love. The 2017 Schneider Electric Marathon de Paris saw a married couple claim the double for the first time in history. Paul Lonyangata and Purity Rionoripo, clad in the sunny Kenyan colours, topped two 100% Kenyan podiums. The Schneider Electric Marathon de Paris is Paul Lonyongata's third victory on the queen of distances, following his triumphs in Lisbon in 2013 and Shanghai in 2015. How about Paris? He loves the city, he knows it and he has turned it into one of his stomping grounds. 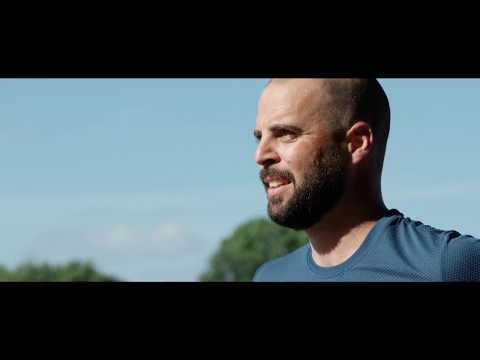 Just a few weeks ago, he carved his mark on the streets of the French capital, finishing second in the Fitbit half marathon with a time of 60′40″. "This might well be my greatest victory yet, and it's also a personal record", said the 2017 winner. "I felt great, it wasn't too hot or too cold, and the organisation was perfect." The icing on the cake came a few minutes later, when his wife claimed the women's race at an infernal pace. Purity Rionoripo even set a new Schneider Electric Marathon de Paris records of 2 h 20′55″, beating fellow Kenyans Agnes Barsosio and 2014 champion Flomena Cheyech. Andrea comes from Mexico. The 30-year-old took advantage of the Schneider Electric Marathon de Paris, which she finished in 3 h 21′, to spend a fortnight in Paris for her holidays. "It was an incredible moment. Thank goodness I'm in Paris, because I'd be extremely disappointed if I only thought about my performance. But it's so beautiful I'll take home wonderful memories." The bars on the Quais de Seine - the Faust, the FLOW Paris and the Rosa Bonheur sur Seine (Port des Invalides, Quai d'Orsay): Métro Invalides line 8, 13 and RER C). The place to be for all those who want to celebrate the success of the 41st edition of the Schneider Electric Marathon de Paris in style, from 6pm onwards. More than seven hundred 5 to 10 year-old children came together this morning for this fun and sporting occasion on the Champ de Mars. On the schedule of this Pitch Marathoon's: a village with many activities (make-up, a brass band, a clown, etc.) and two races, a 1.2k race for 5 to 7 year-olds and a 2.2k race for 8 to 10 year-olds. 3,000 participants at the Paris Breakfast Run! This morning 3,000 runners took advantage of a rare privilege. A five-kilometre run in the heart of the prestigious monuments and places which epitomise Paris’s history — the Carrousel du Louvre, the Musée d’Orsay, the Pont Alexandre III, and a magnificent finish on the Champ de Mars, at the foot of the Eiffel Tower. Tomorrow it’s the big day: the Schneider Electric Marathon de Paris will be setting off at 8.20am on the Avenue des Champs-Elysées! Tomorrow it’s the big day! The 41st edition of the Schneider Electric Paris Marathon will set off at 8.20am on the Avenue des Champs-Elysées! If you haven't picked up your race number yet, we remind you that the Salon du Running – located at the Porte de Versailles’ Parc des Expositions (subway Line 12, Porte de Versailles stop) closes its doors today at 7pm. Don’t forget to bring your essential documents with you: a proof of identity, your notification letter as well as a medical certificate. Tomorrow, Paris will be yours. And there will be 57,000 of you who will enjoy a historical sporting and unifying experience as you give it your all. Get access to many feature with the official application available on April 7th! Let’s all go to the Salon du Running! This year the Salon du Running, the biggest event in France devoted to a sporting discipline, will play host to equipment manufacturers, specialised nutritional and coaching distributors and race organisers once again. 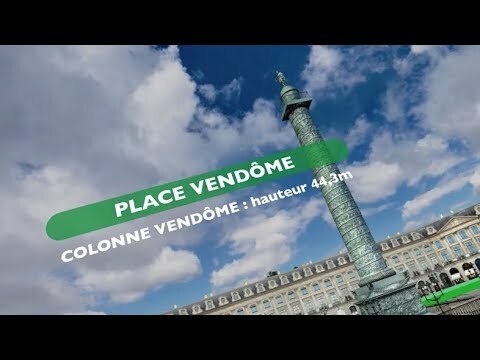 This event represents a unique occasion for all the Schneider Electric Marathon de Paris’ competitors to test the 2017 running trends. A host of activities and entertainment will punctuate the Salon du Running until it closes on Saturday at 7pm. Admission to the Salon du Running is free of charge. Don’t forget to bring all the essential documents which are required by our teams, when you come to collect your race number, to avoid being refused access to the race! Your race notification document, available on your A.S.O Challenges account, which must be printed out. / ! \ If you have a 2017 licence, issued by the Fédération Française d’Athlétisme (French Athletics Federation) or the Fédération Française de Triathlon (French Triathlon Federation), please present it when you collect your race number: in this case you won’t be required to present your medical certificate. Allow your friends to experience the end of the marathon as if they were with you at the finish line! Share the emotion when you cross the finish line live on your Facebook account, thanks to Asics. Sign up now free of charge: the video of you crossing the finish line will be posted live on your Facebook profile. When you go past kilometre 30, a message will be posted to inform your friends! The essential documents to pick up your race number! A few days before the start, your preparation is finished and you’re ready. But have you remembered everything you need to collect your race number? Don’t forget to bring all the essential documents which are required by our teams, when you come to collect your race number, to avoid being refused access to the race! The collection of race numbers will take place at the Salon Du Running, Hall 1, located at the Porte de Versailles (75015 Paris). It’s very easy to go there; all you have to do is take the subway line 12, and get off at the Porte de Versailles stop. Recycle your running shoes with Africa Run! You’ve got an old pair of running shoes sitting on a shelf gathering dust. When you go to collect your race number at the Salon du Running, hand in your old running shoes on the Africa Run stand and give them a second lease of life! This association has been collecting, repairing and transporting running shoes to West Africa since 2006. When the shoes arrive there, they are then distributed to local associations which decide how best to use them, depending on the situation of the terrain and the needs of the population. The Africa Run association’s goal is to organise a delivery at least once a year. NEW ROUTE FOR THE PARIS BREAKFAST RUN! The friendly and fun Paris Breakfast Run is back again this year with a completely new route! Come and shake out your legs one last time before the Marathon, on Saturday 8th April 2017. On 9th April, you will be among the 57,000 runners in the starting blocks taking on 42.195 km in the most beautiful city in the world! If you were unsuccessful in obtaining your race number, you still have a final possibility of taking part in the 41st Schneider Electric Marathon de Paris by running for a charity. For the other runners, your preparation is already underway: discover all our guides to help you overcome this huge challenge in the best way! We are offering you a very wide range of training sessions very soon, as good preparation is the key to a successful marathon. So you won’t have any more excuses to not join in, as there’s definitely one for you! Apero Runs to perfectly combine running with a pleasant moment in a Parisian bar! Places are limited, so don’t put off signing up! Registrations close on 31st January 2017! Registrations for the 2017 edition of the Schneider Electric Marathon de Paris will close on 31st January 2017! "My first marathon” free talk! Join us in the heart of the capital for a “My first marathon” free talk. How to choose your target time? What should you eat? What equipment do you need? All these subjects will be discussed. Not in the vicinity? The talk will be available online on Monday 9th January on the race’s website, on the “my first marathon” page! See you very soon and until then, good luck with your preparation! In 2016, 97 % of the connected runners became Schneider Electric Marathon de Paris finishers! So here is the 2017 app, dedicated to the marathon runners and their fans. LET’S CELEBRATE YOUR STATUS AS A FINISHER TOGETHER! After your race, come and celebrate your achievement with all the other marathon runners and the organisers of the Schneider Electric Marathon de Paris! We look forward to seeing you in Rue Princesse from 6pm. The many bars in this cosy street in the 6th arrondissement of Paris will be opening their doors to help you celebrate your achievement. Don’t forget to bring along your finisher’s medal: as well as allowing you to bask in the glory of your success, it also entitles you to special prices. After a day of exertion, some relaxation is in order! Here we go for the Social Marathon by Schneider Electric! What if you could already win a bib for the 2017 Schneider Electric Paris Marathon? The Social Marathon by Schneider Electric makes it possible! The principle is simple: get a maximum number of tweets with your @username and the hashtag #Run42 to reach the 42.195km “support” mark. 50 bibs to win among all finishers for the 2017 edition. The race starts on April 4th 2016 at 10am. Register now! For months you have dreamed about it, now the big day is here: the 40th edition of the Schneider Electric Paris Marathon will set off at 8.45am on the Avenue des Champs-Elysées! 57, 000 of you reserved a race number. How many of you will there be at the start of a race which promises to be historic? The good news is that the weather is really mild. So make sure you don’t dress too warmly and hydrate yourself as soon as you reach the first feeding station. Make sure you listen to your body throughout the race and don’t hesitate to ask for medical assistance if you feel it's required. You have undoubtedly validated your race plan. Naturally we would like you to achieve your target time. However, don’t forget that your principal goal must be enjoying yourself. Take pleasure in running 42.195km in the most beautiful city in the world. More than 160 nations will be represented on the streets of the capital today. You are about to enjoy a very fraternal sporting experience. And there will be many Parisians to cheer you on along the whole 42.195km route. And as it’s the 40th edition, special activities and entertainment will be on offer at kilometre 40. We wish you all a great race! Meet with Paul Tergat on the podium of the Salon du Running on Saturday at 3pm for a signing session! Paul Tergat held the world record in the marathon from 2003 to 2007, with a time of 2:04:55. He will be on the podium of the Salon du Running on Saturday from 3pm to 4pm for a signing session! Use the official hashtags #ParisMarathon and #LifeisOn to share your last minute preparations and your race live on Twitter, Vine and Instagram. You will find the best photo and video content on the Social Hub by Schneider Electric. The Salon du Running is open! And they're off! The Salon du Running opened its doors at 3pm at the Porte de Versailles’ Parc des Expositions. 220 exhibitors will offer a complete overview of the world of running in an area extending over 25,000 square metres for two and a half days. The 2016 Schneider Electric Marathon de Paris competitors must pick up their race number at the Salon du Running. Don’t forget to bring your essential documents with you: a proof of identity, your notification letter as well as a medical certificate. The first edition of the Soirée du Running will take place today from 7pm to 10pm. Everyone who wants to celebrate the pleasure of running in a festive way is invited to take part in this event. Many unique activities and types of entertainment will punctuate the evening. Share the end of your marathon with your friends! Thanks to TAG Heuer, you have the possibility to share a photo of your race at the KM 41 on your Facebook profile. To publish your photo in live automatically, sign up for free before the race. Despite the kilometers, don’t crack under pressure and smile to get a maximum of “like”! Your convocation is now available! Your convocation is now available on your "Schneider Electric Marathon de Paris 2016" page. Print it before the D day. Don't forget to bring your ID and your medical certificate to pick up your bib number! REGISTRATIONS FOR THE PARIS BREAKFAST RUN ARE OPEN! Want to go for an easy and fun run the day before the Marathon? Then the Paris Breakfast Run is made for you! Don’t hesitate to register as a family to represent your country at the foot of the Eiffel Tower. On the occasion of the 40th edition of the Schneider Electric Marathon de Paris that will be held on 3 April 2016, the marathon of the most beautiful city in the world launches its new official mobile application. This unique application will transport the competitors into an unprecedented era, that of the connected Marathon. The application is compatible with the majority of existing tracking apps. It can be found on all types of devices (smartphone, tablet, computer) and can also be downloaded from the Apple Store and Google Play. See you in 85 days on the ‪Schneider Electric Paris Marathon‬ starting line! [SOLD OUT] REGISTRATIONS ARE NOW CLOSED! You will be 57 000 to run 42,195 km in the most beautiful city of the world! Go through a tour operator. More information. Run for an association. More information. Sign up for the specific corporate offer. More information. Only 1000 bibs left for the 2016 Schneider Electric ‪‎Paris Marathon‬ ! Only 1000 bibs left for the 2016 ‪#‎ParisMarathon‬! Don't miss yours! 22,000 race numbers have already been sold during the pre-registration period. Registrations are open officially since September 9th. Thanks to Asics, your “Schneider Electric Marathon de Paris 2015” is recorded by 16 High Definition quality cameras along the track. To view your race in streaming HD on the internet go to the results and enter your name or race number and click on the video camera button in the videos section. The cameras were located at Avenue Daumesnil (21,1km), Voie Georges Pompidou (25 km), Avenue de Président du Kennedy (30km), Place de la porte d’Auteuil (35km), Allée de Longchamp (40km) and of course the finish! Click on the DVD or HD download video button within the video player to a memory of your race forever! It will contain an extended version of your race of 15 minutes, the best images of the 2015 marathon and a high-speed course video! Your race can be shared via Facebook and Twitter with friends and family. Have a lot of fun by watching your personal race with Asics! For several hours the most colourful streamers were visible throughout Paris. And the capital had never celebrated the marathon in a more joyful way. Maybe it was the exceptionally clement spring weather that made you courageous. Maybe it was simply due to the quality of your training sessions which prepared you for the 42.195km course. Kenya’s Mark Korir dominated the Schneider Electric Paris Marathon in an excellent time of 02:05:49. In the women’s category, Ethiopia’s Meseret Mengistu triumphed in a time of 02:23:36. It is also worth mentioning France’s Julien Casoli, who was the winner of the disabled race. There were 41,342 of you! A new participation record was established for the 39th edition of the Schneider Electric Paris Marathon. 41,342 runners including 18,000 international competitors represented 150 nations: congratulations to all of you who experienced an amazing day of sport and fraternity in the streets and avenues of the most beautiful city in the world. Thank you to all the volunteers who helped you throughout the race: from entering the start areas to handing over the medals. And now it’s time to celebrate! And they're off! The start of the 39th Schneider Electric Paris Marathon will take place tomorrow at 8.54am on the Avenue des Champs-Elysées. Don't doubt your ability to run the entire 42.195km. Everything you've learned during your training won't be lost in the pre-race nerves! Stick to the race plan that you have developed throughout your training and check during the first few kilometres that you are not running too quickly. Soak up the festive atmosphere of this marathon in the most beautiful city in the world and really enjoy running. Tomorrow, Paris will be at your feet. Enjoy being part of this event alongside more than 50,000 other runners. We look forward to seeing you at the finish. The big day is approaching and it’s time to check the final details for your participation in the Schneider Electric Paris Marathon. What you are going to wear during the race and what you are going to leave at the left luggage area (or what you will get rid of before you go into the starting area). Météo France is forecasting dry, warm weather. Take that into account! The time it will take you to get to the Champs-Elysées using public transport (mainly Line 1 of the subway - George V or Charles-de-Gaulle-Etoile stops). At 8.45am on Sunday, more than 50,000 competitors will cross the start line of the Schneider Electric Paris Marathon to run 42.195km in the most beautiful city in the world. Enjoy being one of them! How to share your contents about the @ParisMarathon ? You want to share your last training sessions and your race on Twitter and Instagram: use the official hashtags #ParisMarathon and #BelievewithSE. You will find all the best social contents on the Social Hub by Schneider Electric. The Salon du Running opens its doors today at 3pm. It is the place to be in the run up to the Schneider Electric Paris Marathon. 25,000 square metres totally dedicated to running: more than 200 stands await you. The added bonus for 2015 is an 80m-long running track that will allow you to try out the latest models of running shoes in the best conditions. Take advantage of the Salon du Running to relax before the Schneider Electric Paris Marathon, and soak up the friendly atmosphere. Remember to bring the documents you need to pick up your race bib: your proof of identity, notification letter and medical certificate. Do you want to share the last moments of your marathon on Facebook? An having some supports for the last KM ? Are you a crazy about Twitter? The Social Marathon by Schneider Electric is made for you! The game is easy to play: get a maximum of tweets that include your @username and the hashtag #Run42 to complete the 42.195kms. The finishers would have the opportunity to win a bib for the 2016 edition (100 bibs to win). Starting hour: April 7th ; 10 AM, sign up to participate. Discover the Social Marathon in video. Your convocation is now available on your "Schneider Electric Marathon de Paris 2015" page. Print it before the D day. Don't forget to bring your ID and your medical certificate! A.S.O. offers the third Schneider Electric Marathon de Paris guide on tapering. Discover the finisher T-shirt of the next edition ! Come and register to the Paris Breakfast Run! Join 3500 runners for 5 km in the heart of Paris before the big Marathon! Be careful! The number of race numbers is limited, and registration can only be done on line. Registration are opening on ASO Challenges. Do you need support for your preparation? A.S.O. offers the first Schneider Electric Marathon de Paris guide on general physical preparation. You will be more than 50 000 to run 42,195 km in the most beautiful city of the world! Only 1 000 bibs left! Be part of it! A.S.O. CHALLENGES: CREATE YOUR ACCOUNT! Registration to the Schneider Electric Marathon will be done at www.asochallenges.com. To save some time on the big day, we invite you to create your account now. If you already have an account, make sure to reconnect to make sure that your information is up to date. Kenenisa Bekele, three time Olympic champion and five time world champion for the 5000m and the 10,000m, clearly won the 38th edition of the Schneider Electric Marathon de Paris with the time of 2:05’04”, breaking a new challenge record, held previously by the Kenyan runner, Stanley Biwott (2:05’12” in 2012).